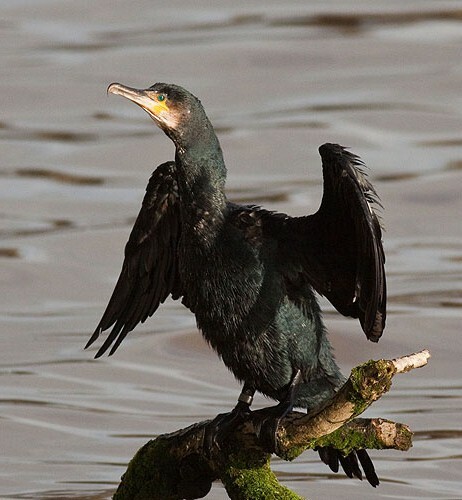 "Phalacrocorax Carbo" , Breeding Resident . Catches fish and eels in a long underwater dive . Nests in a bulky collection of sticks in a tree or on a cliff edge / 1 Brood , 3-4 eggs , Incubation 30 days , Fledge 50 days .